Singer 6699 has some nice features and the performance is good. But it will face stiff competition from superior machines from Singer family itself. 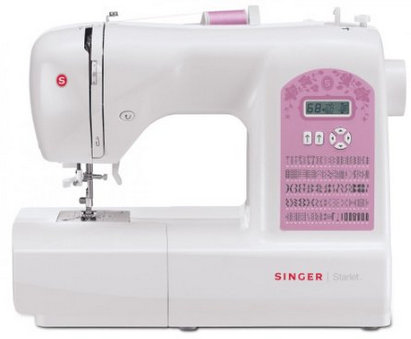 Singer 6699 is a very recently launched sewing machine. This is a machine aimed at beginners and intermediate sewers. It is placed in the same price category of the ever popular Singer 7258. So 6699 has its expectations set pretty high. 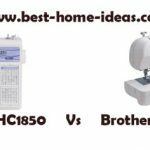 In comparison with 7258, 6699 is just an electronic sewing machine not a computerized one. 7258 on the other hand is a fully computerized sewing machine equipped with features like sewing start/stop, speed control slider and programmable needle up/down. 6699 comes with 100 built-in stitches which include 9 Basic, 76 Decorative, 8 Stretch and 7 Buttonholes. Buttonholes include 6 one-step buttonholes and an endless buttonhole. 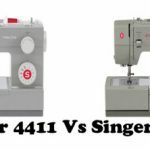 It is great from Singer that they decided to add an endless buttonhole, now you can sew buttonholes of different sizes than regular ones. 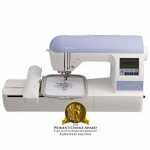 The automatic needle threader aids in quick threading. Stitches are selected with the help of buttons. You can view the stitch settings through the LCD screen, but the screen size is on the smaller side. The stitch width and length are automatically set, however you can easily override them. The maximum stitch width is 6.5mm (this provides great flexibility). Tension is automatic. Presser foot pressure is also automatic. The extra high presser foot lifter offers more clearance to work on multiple layers of fabric. The reverse sewing button, though small is conveniently located. 13 needle positions are available on the machine. The motor is powerful and can deliver 750 stitches/min. Singer 6699 comes with a hard cover and an extension table. The extension table is really handy while working on large projects. There is a built-in storage compartment to store your accessories. You can access the free arm, once you remove the storage compartment. The build quality of Singer 6699 is good. It weighs 14.6 pounds. Since this is a new launch, I can’t comment on the durability department. However, I think it will last long enough. 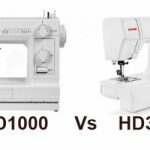 The stitch quality is good. The LCD screen is small and it is not backlit. The machine is not a computerized one. It will depend on its pricing. 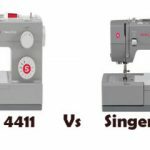 Singer 6699 has its biggest competitor in the name of Singer 7258. 6699 won’t stand a chance if it is priced anywhere near 7258. Singer 7258 is much more superior in features and performance.